Part gospel anthem, part joyful house workout, ‘Testify’ is possibly one of those once-in-a-blue-moon moments, a song with a heart that reaches out to move you. 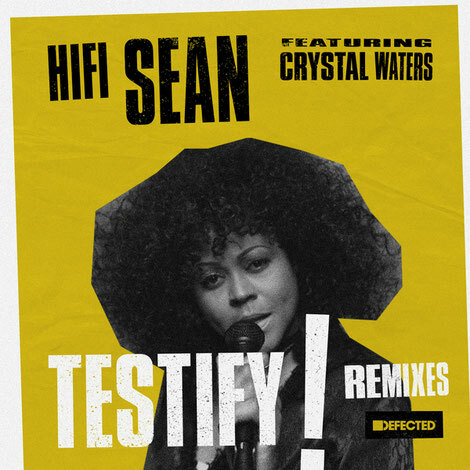 Originally released in November 2016 on Sean’s own imprint Plastique Recordings, the track has grown and hooked fans organically, making the playlist at BBC Radio 2 and taking on a life of its own. Signed over to Defected in January 2017, the label wasted no time in delivering this remix package. Steve Mac diverts from the soul and gospel vibe, taking it to the underground with industrial drums and a 4/4 beat. Tom Stephan aka Superchumbo introduces a Latin flavour into his ‘Dub’ with syncopated drum work and a beefed up bassline that takes the original’s gospel elements up a few gears. Finally to complete the package is an ‘Original Extended’ version, with two bonus minutes of the uplifting instrumental bridge.